In yesterday's post, we looked at a way to define and measure spiritual fitness. The implicit message of any measurement is: "measure up!" With measurement comes judgment. Judgmentalism about our own or other people's physical fitness or cognitive fitness or emotional-social fitness can sometimes provide short-term motivation, but can also increase unhappiness and be counter-productive. Judgmentalism about our own or other people's spiritual fitness is directly contrary to the spiritual fitness we are judging inadequate. Our culture does have a mania for self-improvement -- whether it's in the physical area, the cognitive, the emotional, or the social. Get more physically fit: Exercise, diet. Be smarter, train your brain for greater memory, speed, attention, flexibility, and problem-solving. Hone your emotional skills, sharpen your social skills. Here's what you need to do to win friends, influence people, get the promotion, achieve success, make your marriage work and/or get that cute man or woman to notice you, find fulfillment, be energized, get the respect you deserve, prevent wax build-up, and fight tooth decay. These are the themes that fill the shelves of the self-help section. 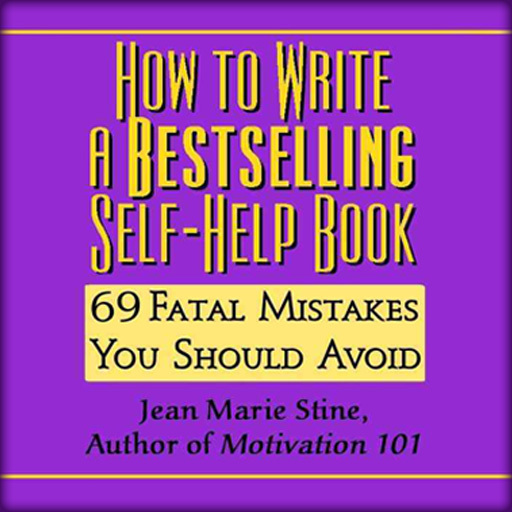 There's even a self-help book on how to write a bestselling self-help book. The message seems to be that you don't really have it all together unless you have written a book to explain it to the rest of us. Oddly, at the same cultural-historical juncture at which we judge ourselves unworthy at every turn, we are also more prone to judge ourselves greater than we are. And it's no wonder: our young people, more than any previous generation, have been "bathed in messages telling them how special they are." We think we're better than most others -- better than average -- and at the same time, think we're not good enough. We yearn to be further and further above average -- which means more and more distance (perceived distance anyway) between ourselves and other people. There is actually no contradiction: we simply judge ourselves inadequate, and we judge other people – average people – even worse. Our more agrarian great-grandparents were certainly capable of passing judgment, but I don’t think it consumed their lives as often as our judgmentalism consumes ours. Your spirit is the part of you that understands that you are good enough – that you are, in fact, perfect. The spirit's message isn't that you are special or important. You're not. You're merely perfect. You're not in the 99th percentile as a human being (or, for that matter, as a vertebrate). You're not in the 90th percentile. You're not above average. You are just what every other sentient being is: perfect exactly the way you are. My concern with such instruments as Robert Cloninger's Temperament and Character Inventory is that it might be taken as making spirituality into one more area where you aren't good enough and you’ve got to get better. That would undermine the very spirituality it purports to encourage. I rather like Cloninger's break-down of the three constituents of spirituality: self-forgetfulness, transpersonal identification, and acceptance. Let's just remember that judgmentalism precludes all three. Self-forgetfulness. Although we might look back on moments of self-forgetfulness and realize we were performing very well, at the time, in the moment, we weren't thinking about our performance as good or bad. We had lost the sense of being a separate self to judge better or worse and were just flowing, like a current in a river that has no concept of itself as separate from the rest of the river or from the rest of the earth's waterways. As soon as the thought enters your head, "hey, I'm playing superb tennis today," or "I'm painting a real masterpiece here," that judgment ends the self-forgetfulness. In the first game of the 1992 professional basketball championship series between the Portland Trailblazers and Chicago Bulls, Bulls star Michael Jordan was evidently "in the zone." He scored 35 points in the first half alone. He also hit six three-point shots in the first half. 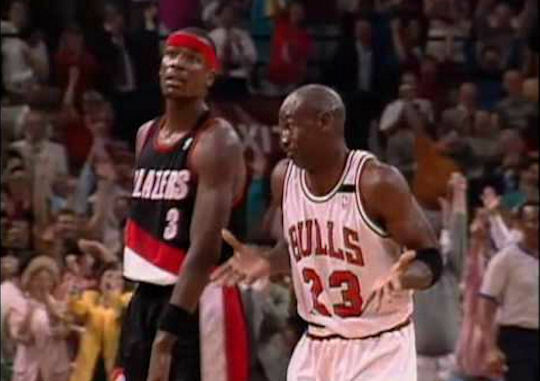 Three-pointers were not Jordan's forte, yet on this day he was popping them in like candy in the first half. After the sixth one swished through the net, near the end of the half, he shrugged with palms upward as he trotted back up court. The gesture seemed to say, "I don't know why I'm playing so well." With that moment of self-consciousness, the spell was broken. Jordan hit no three-pointers the rest of the game and scored only four points in the second half. His period of unusual self-forgetfulness, it seems, had passed. Transpersonal identification is recognition that we are the other. In that identification, there can be no judging ourselves better than others, better than average. Acceptance means affirmation and embrace of reality exactly as it is. This is hindered by judging ourselves or others as needing to be better. An essential part of your present perfection is its dynamic quality. You are, at this moment, in the midst of processes of change and growth. The ways that you are improving are integral to your current perfection. The spiritual path, however, unfolds slowly, and in its own way, on its own schedule. If we try to push spirit, spirit will push back, and we'll get nowhere. Rather than setting out to "correct" our "faults," spiritual development comes from loving our faults. Slowly, acceptance (a sub-scale for self-transcendence) extends to every part of who we are (which another sub-scale, transpersonal identification, recognizes as all of the universe), even the parts we wanted to "fix." You can make your biceps strong by forcing them to do the exercises. The spiritual "muscle" doesn't work that way. You can't make it strong. Love it and accept it in its weakness. Then -- only then -- might it decide to grow strong on its own. Even if it does, it's liable not to tell you. One day maybe you'll notice that it's been a while since you yelled at the other cars in traffic -- or someone will say you're "a peaceful presence" -- or you'll realize you used to worry a lot more about finances. None of these, of course, mean you've "arrived." But they are among the possible signs of a spirit that's been given the affirming space it needs. In tomorrow's post I'll say more about embracing our demons. This is part 4 of 7 of "Spiritual Practice." Next: Part 5: "Embrace Your Demons"
Previous: Part 3: "Defining Spiritual Fitness"